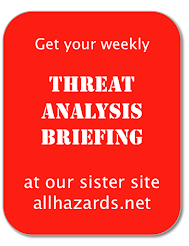 The latest on breaking events; connecting emergency management and the public through social media; informatics in disasters and emergency response; and new perspectives on preparing for small and big emergencies and disasters. We all know we should be better prepared for a disaster, but once we've put together our "disaster kit" and know how to switch off the gas supply, what comes next? Well these three books will help you take the next step in three different ways - through understanding the psychology of disaster survival, through a highly practical guide to disaster organization, and through understanding how you can make your life more self-sufficient - and thus more robust. 1. The Unthinkable - Who Survives When Disaster Strikes and Why. This book sets the stage for your whole approach to disasters and reveals some of the basic instincts that can affect your chances of survival. Through a series of stories, and interviews with experts in neurology and psychology, it gives you an understanding of what your brain thinks you need to do, what you really need to do, and how two switch from the former to the latter in a disaster (for example, our natural instinct is to freeze and look to see what others are doing, rather than to lead and take action). Very readable and very helpful. 2. Organize for Disaster: Prepare your Family and your Home for Any Natural or Unnatural Disaster. This highly practical book written by a professional organizer is packed with useful tips on everything from where to keep your documents, preparing your house for disaster, what food supplies to have in and how to evacuate safely. For those who like checklists, the appendix has a pack of templates for things like a family communications plan and a home inventory. 3. The Self-Sufficient Life and How to Lead it. This book is to prepare you for the really big disasters - e.g. the ones that might knock out your power for months, or change our very way of life. But the gem of this book is in both dusting off some of the pearls of wisdom built up over generations (how to grow potatoes in a small space in your yard) and in some really innovative things that come from an author that has been doing this kind of thing all his life (like how to build an outdoor toilet that also makes compost!). Whether you want to set up a 1-acre farm or just learn how to grow a few vegetables on your deck, this nicely illustrated book is the one to go for. Thanks for the reviews! The books should surely be very useful!